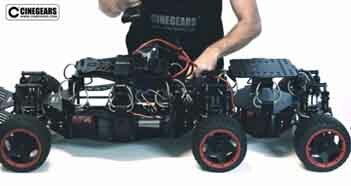 Introducing the all-new All-Wheel Drive Gimbal Car by Cine Gears . After years of research and development, Cinegears has created a new range of Remote Control Gimbal Cars to streamline your film making experience in challenging environments and situations. 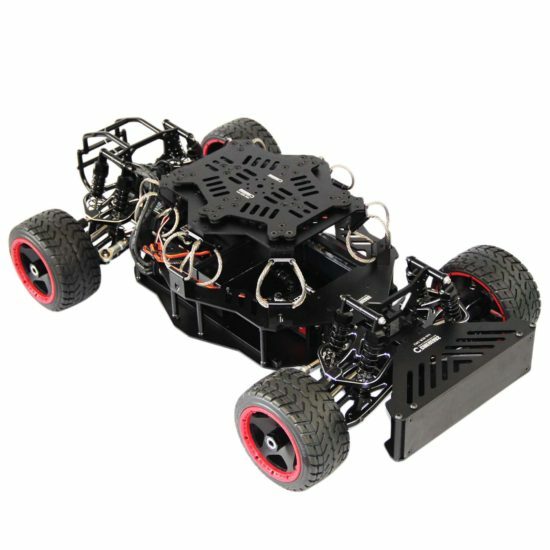 Cine Gears is excited to unveil their new all wheel drive car which features a stabilized camera platform offering enhanced payload options. 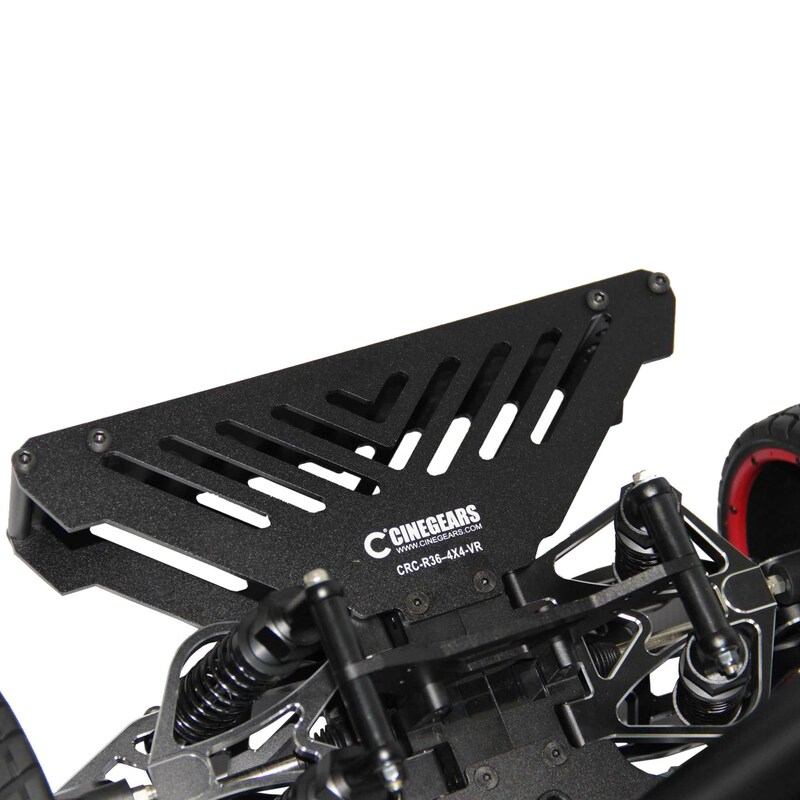 The Cine Gears Remote Control Gimbal car allows you to capture any shot over any terrain, whether you are filming extreme off road sports, simulated first person chases; whatever the challenge, Cinegears gives you the solution. 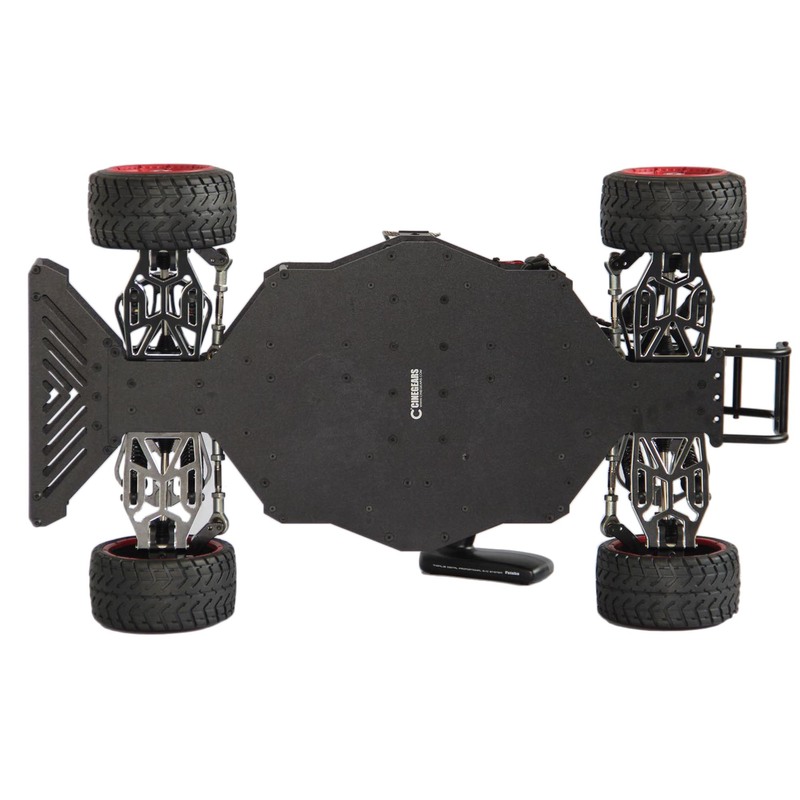 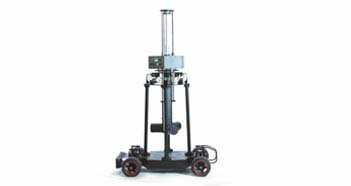 The new Cine Gears car is a remote-controlled all-wheel vehicle designed to hold an additional payload of 20kg. 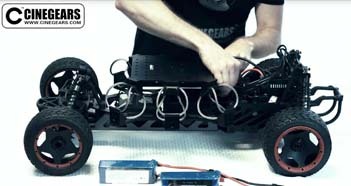 This car comes equipped with electric steering and breaking, it is the first of its kind on the market today. 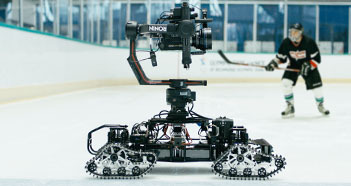 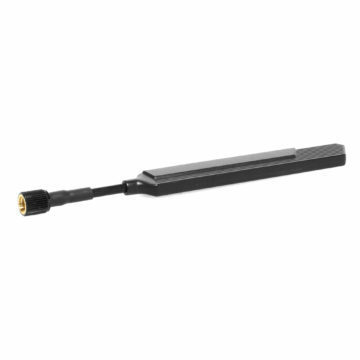 By combining the stabilization of the MoVI with a custom vibration isolation system achieved by the wire ropes, this makes it possible to capture smooth, dynamic low-angle shots as you chase the action. With the added benefit of all wheel drive and the protective grill in the front you will never worry about the environment you are sending your car into film. 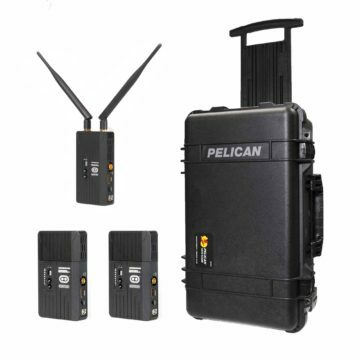 You can now get your camera in the middle of any situation that would be too dangerous for a human operator, all while maintaining complete control and stability of your shots. 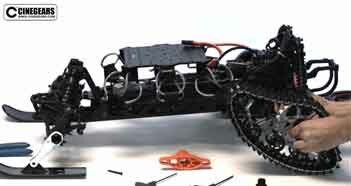 A top cheeseplate makes it easy to mount your MoVI and all accessories. 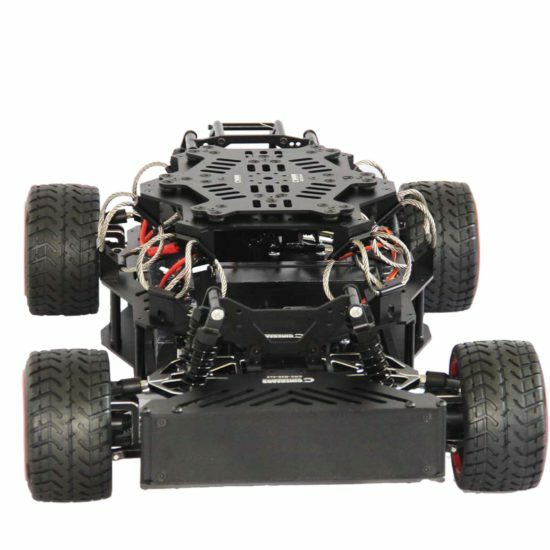 This high-performance Gimbal car goes up to 80 km and features a 3-point suspension system that ensures maximum stability!